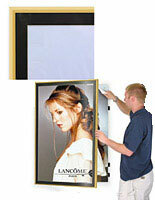 Is the decor at your home or office upscale? 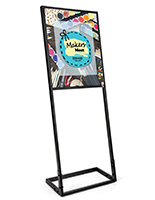 Complement your already beautiful location, whether it be a business or residence, with the perfect display: a black poster frame. 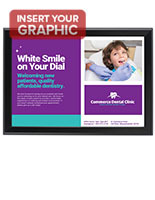 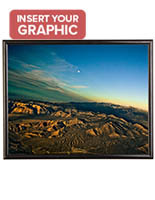 The dark border of each of the above framing selections is certain to bring out the best in printed signs, ads, and posters. 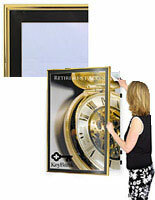 The elegant framework accents the displayed imagery without being overbearing. 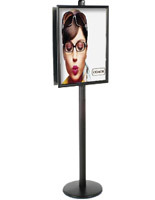 Any of the frames offers subtle style that enhances the environment rather than taking away from it. 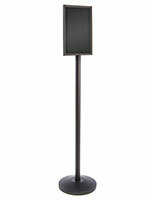 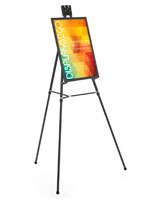 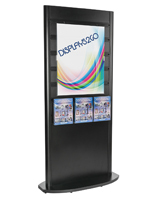 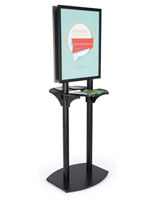 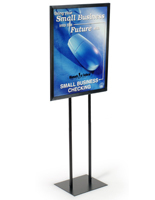 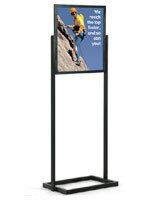 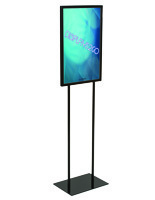 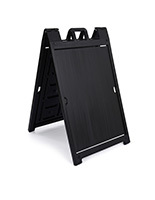 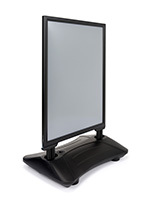 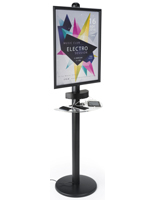 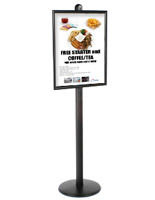 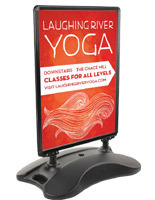 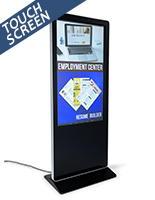 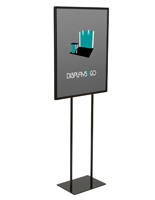 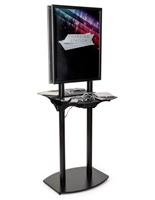 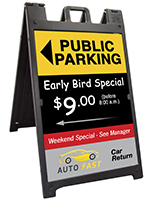 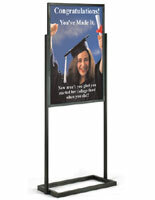 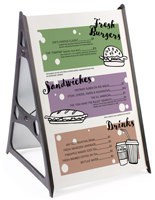 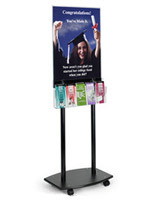 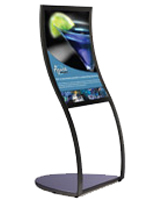 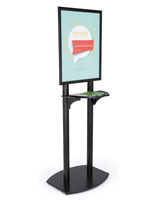 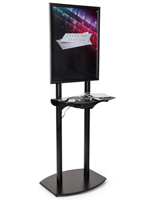 Many types of poster holders are available, including the popular wall mounted models as well as our extensive line of floor stands. 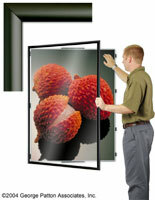 Both designs have their advantages, but choosing the proper frame isn't always easy. 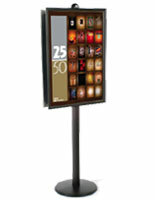 Take your time and consider your application when browsing the vast collection to ensure that the best choice is made. 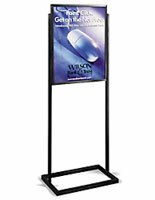 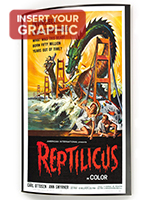 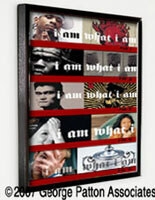 While choosing one type of poster frame over another is difficult at times, a new trend is emerging to make matters easier. 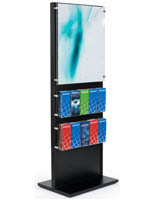 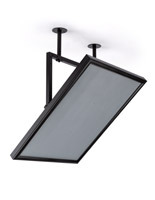 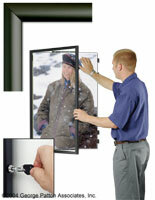 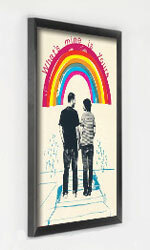 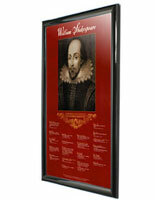 Many offices and stores are equipped with both wall mounted and free-standing styles. 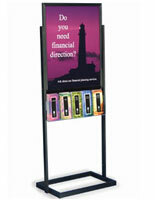 The combination creates an instant attention-grabber for those entering the location or simple passing by. 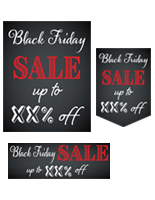 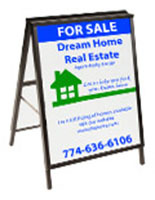 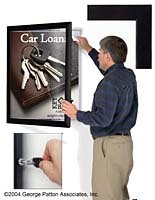 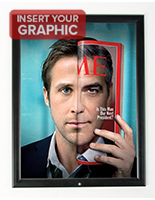 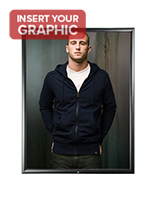 Storefront windows are frequently outfitted with a variety of poster hangers to create buzz and incite interest. 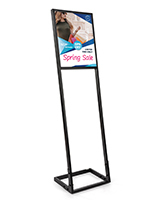 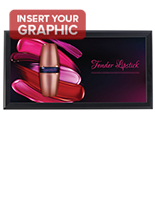 Each of the models offered here allows for quick graphic changes, so retailers and other store managers can keep their displays fresh at all times.